Baba’s birth and parentage are enshrouded in mystery. 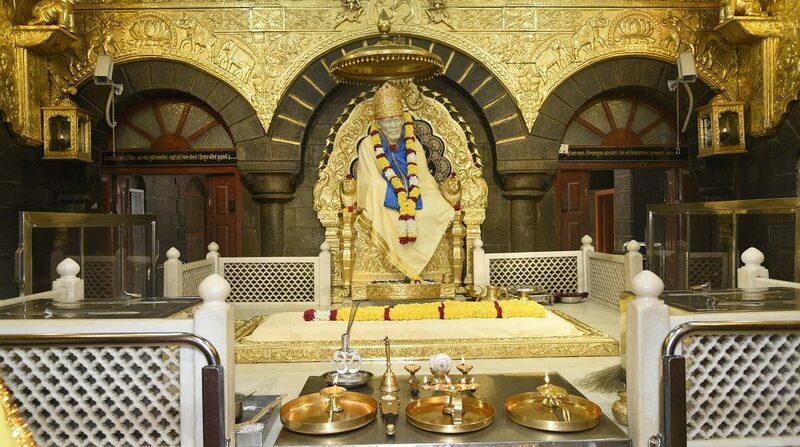 All that is known is that round about the year 1858; Sai Baba came and settled in Shirdi-an insignificant little village in Ahmednagar lying almost on the bank of sacred Godavari River. Here, in this isolated spot, far from the maddening crowd, the wonderful life and leelas of this predominantly lovable being began to capture the imagination of men and women who flocked in their thousands to bask in the radiance of his love. A unique personality; Shirdi Sai Baba stands out as one of the most compassionate and humane of all the saints known to history Sai Baba has translated the integral vision of reality into such a splendid series of radical miracles in the 60 glorious years of his messiah ship and continues to do even now, 89 years after his Maha Samadhi in 1918 on Vijayadashami Day. Shirdi Sai Baba is one of those whose heart bums for the common man, for the ordinary householder struggling under his sansaric burdens with no time or inclination for religion or metaphysics. Into the drab and dull lives of thousands of such mediocre men and women; the saint of Shirdi has brought hope and solace. Sai Baba is the rarest of the world’s realized souls who has so consistently gone out of his way to bring struggling humanity into his compassionate fold. It is vastly significant that though more than 89 years have elapsed since Baba passed away, his influence has not waned nor has his benign intervention into the lives of sorrowing mortals lessened often, enough, in his life time, Sai Baba had given assurances of his protection and love even after he shed his mortal coil. “I shall be active and vigorous even after my Samadhi” he said… and he has abundantly fulfilled his promise. With such an amazing out pouring of love, it is not to be wondered that Sai Baba should favour the Bhakti Marg to salvation. Sai Baba compassionately assures his devotees by saying “Look to me and I will look to you and simply say Sai, Sai with heart over flaring and that he cares not for show of respect or formal worship. Encouraged by these assurances, millions today lift up their voices in paeans of devotion and praise to this wonderful avatar of compassion. 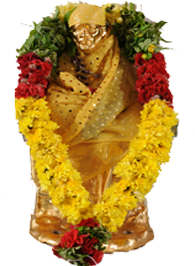 Official website of Shri Saibaba Sansthan Trust, Shirdi.